Video-on-demand platform FrontRow, launched earlier this by MTN in partnership with Discover Digital, has been rebranded as VU, effective 1 December, and has cut its prices to match the competition. As with FrontRow before it, MTN subscribers’ data will be zero-rated (provided free, without eating into their data allowance) when they stream content from VU using an MTN Sim card, providing they are connected to the “myMTN” or “internet” access point names. Current registered customers of MTN FrontRow will automatically be moved across to the MaxVU subscription service. The newly rebranded platform has content from all six big Hollywood studios, along with programming from BBC Worldwide, Endemol and Freemantle. 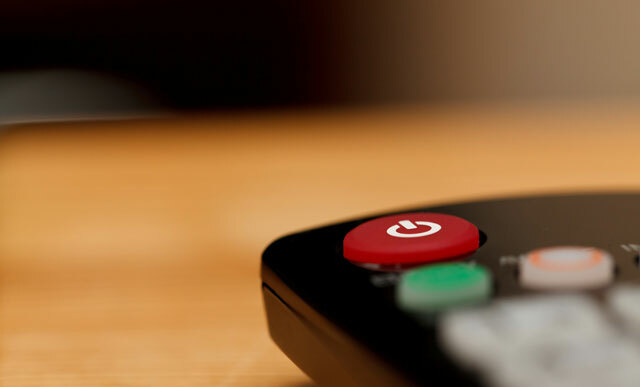 VU, which is pronounced “view”, claims to have the widest range of content among video-on-demand players in South Africa, along with flexible packages and a range of payment options. Customers can subscribe to the service or opt for a pay-as-you-go option. Payment can be done via credit card, billed to an MTN account or deducted from prepaid airtime, provided the airtime balance is sufficient. There are three main packages available on the relaunched service. The first is MaxVU, which costs R99/month on a month-to-month subscription basis and provides access to the full range of content on offer, and which provides access to movie rentals for between R15 and R27/title. The R99/month subscription fee, which is valid on a promotional basis until 31 January 2016, represents a R20/month price reduction over the old FrontRow monthly fee and is line with the prices of rival players, such as Naspers’s ShowMax. It’s not clear, however, whether existing FrontRow customers will benefit from the lower promotional price. The second package is called PremiereVU. This has no monthly subscription, meaning users can’t access the content available through MaxVU, but they can rent movies, again for rates ranging from R15 to R27 per title. The final offer is called WeekendVU, which provides full access for R39/weekend, along with access to movie rentals. All package options stream content in standard definition. Up to five mobile devices can be linked to a single account. Well, it’s like I’ve said before – in this game, ShowMax is bound to have their asses handed to them on a platter. Time to find that yellow SIM card of mine; cause I don’t think there’s currently anyone in ZA who can match VU. I may not be the smartest guy out there but I do think that I can speak with authority on the pronunciation of VU – more especially since the two letters can be found in the long and short form of my name: but that’s just me and “view” wasn’t the first pronunciation that came to mind. This is an aggressive play, but it very mobile-focused. No HD option is a limitation. But, if the data is free on an MTN SIM, it is a no-brainer for many people. It streams in SD Quality, yes SD and this is why it’s zero-rated. They need to change that or they won’t last at all. It really isn’t such a train smash at this point when players should be focusing their strategies on building scale… up-selling existing customers to an HD offering should be relatively easy to do. The ZA players need to get an indicator of the market potential and whilst a 7day free trial is great, I do think that they are missing a trick with just pushing SVoD and TVoD; I would say that they need to be also including an AVoD offering that a prospect which has tried the 7day free trial, can be defaulted to. Keeping prospects on your platform should be the main goal at this stage and the other bells & whistles can come when a player like Netflix comes into the market. These guys should chat to the SABC about a deal for an AVoD content offering that will just serve as a catch-up service. If Multichoice can strike deals with the public broadcaster, there’s no reason why they can’t and the SABC has by far the most popular content offering in the country that can work for an AVoD offering. SD is an indication that their focus is mobile. On a small screen, SD is not an issue. So for those people commuting with public transport, they’ll be able to sit and watch movies for a reasonable cost since the data is free. Compare that to Vodacom’s pay-per-minute download service…. Mobile viewing of VoD is growing exponentially and even the likes of YouTube have just three areas of focus; mobile, mobile and mobile. I think Multichoice is helped by their experience and the deal was not hard to make in that case. MTN would sadly disadvantage those not on the network though I know it is all about competition. I do hear you about SD but my problem is that they are responding to how ShowMax and ShowMax is on almost all platforms running at 720p( which is a joke also but a better joke). Their focus on mobile only may kill them, not all of us like watching films on mobiles. I guess we’ll have to wait and see how it will turn out. I hear you, but it would be better if they were targeting all platforms than just mobiles. Its a good one for them to zero-rate the mobile ones but most of us prefer the bigger screen and a couch. >>MTN would sadly disadvantage those not on the network though I know it is all about competition. It wouldn’t be anywhere near the magnitude of the many that are disadvantaged by not being able to watch SABC’s 24/7 News and Encore which is on DStv. …but as I’ve previously stated before, the biggest global player will come to ZA and beat the local players at delivering on the content which the masses will be drawn to. Most of these players in ZA are completely clueless as to what it takes to make online video content work; and that is illustrated by their continued reliance on traditional agencies to take their plans to market. Yeah Netflix will shake them up but the ONLY advantage of ShowMax is the local content they may have, I do however hear from consumers that its local content is years behind when compared to DSTV’s ones. What I will most def love about Netflix is not HIRING a movie when you already pay to watch everything, this will kill most local VoD Services as they have this kak habit of us paying for the actual service and also on top hiring “the latest” uploaded film. The wait is on for that Netflix service but Naspers likes dominance and won’t quit till it wins. Next year will be a nice year ;-). Those guys at ShowMax don’t have any inventiveness and this game requires unique approaches to various markets. …Netflix and VU are definitely going to make them look stupid and this is even before we get YouTube Rentals and Google Play offerings.